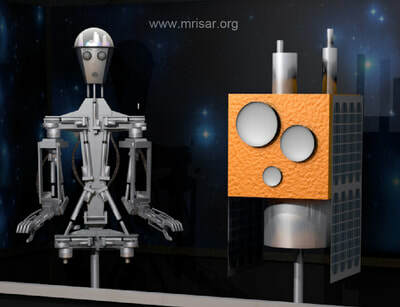 Simulator Humanoid Telepresence Space Robot Exhibit is according to our research unlike any other on the planet. 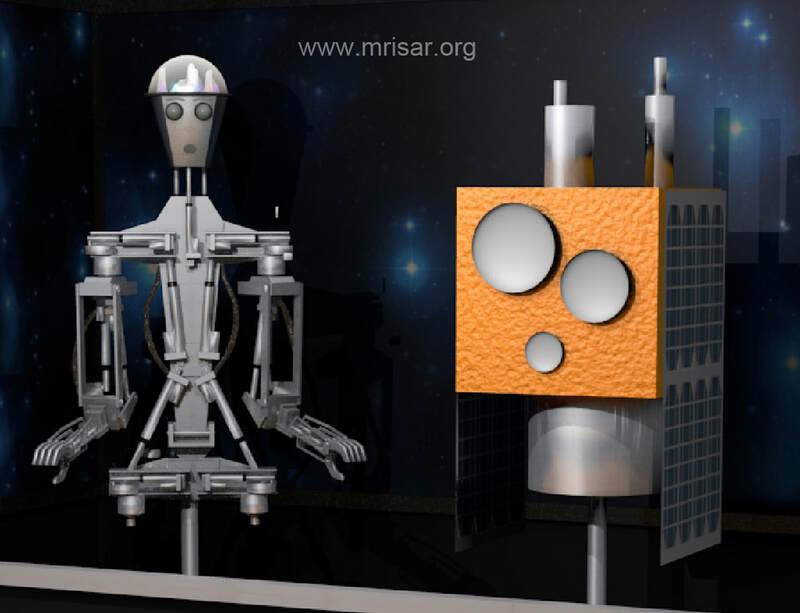 It is inspired by NASA’s Robonaut Telepresence. The activity the visitor is to perform is the repair of a satellite. Three different repair activities are provided. The controls and satellite are interactive. The controls keep track of the progress and after a predetermined time interval, the satellite and controls reset for the next user. 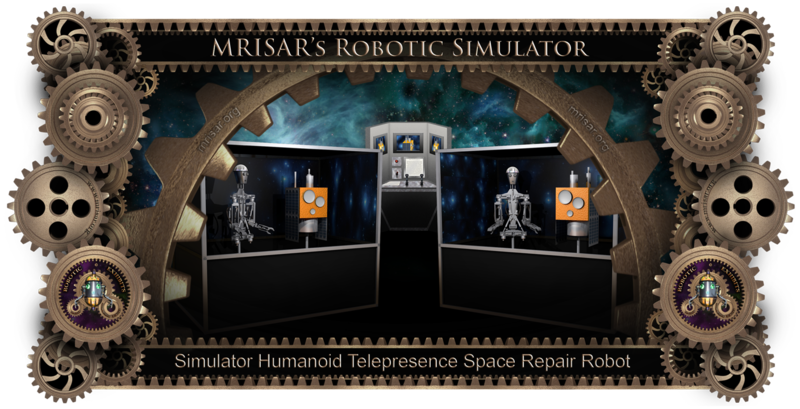 The robot in our exhibit presents a real platform for the museum visitor to experience the complexities of humanoid telepresence in a fun yet highly educational way. The robot is also a variation of a design that we are developing for an actual research and development project at our institute, which will be used in a number of beneficial applications for industry, the disabled and exploration. 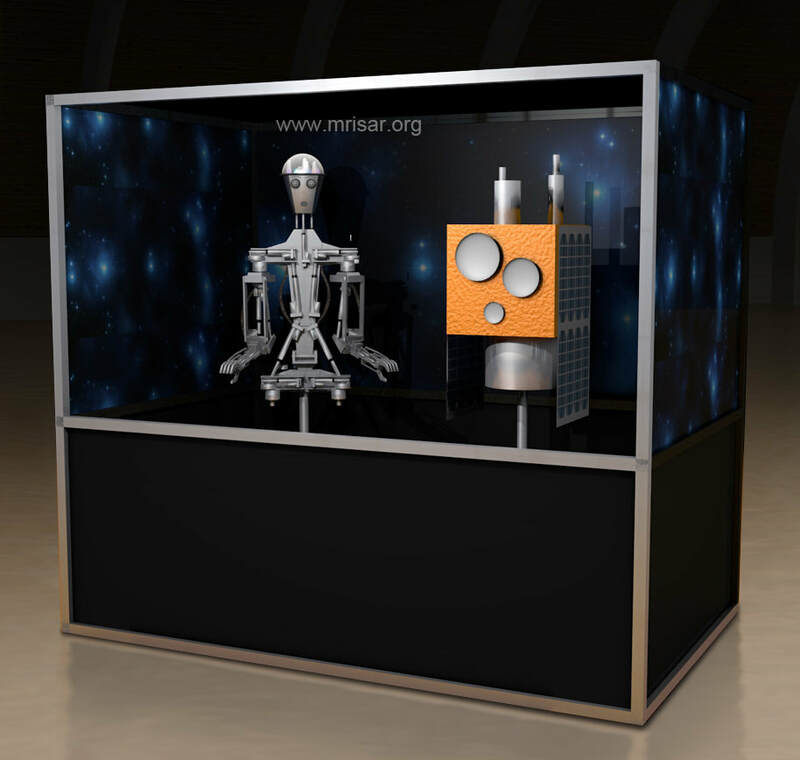 The telepresence controls for this exhibit are based on the basic layout of the ISS robot arm control joysticks as a further merit to the exhibit. The telepresence controls can be placed up to 75’ from the main exhibit case. The main case measurements are 10’ deep x 11’ wide x 72“ high. The Telepresence control part of the exhibit is 6’ wide by 3.5’ deep x 72” high. 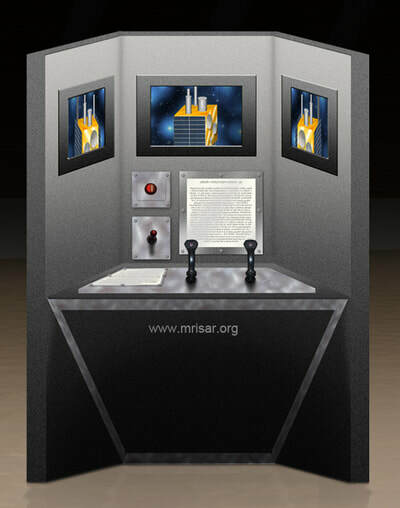 The exhibit comes equipped with the control and video cables that must be placed between the main unit and Telepresence unit.